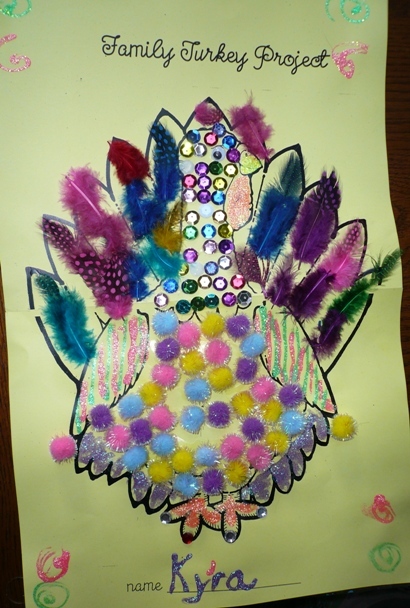 Wishing everyone a most bejeweled and bedazzled Thanksgiving. Beautiful bird! But I hope there’s something more, well, edible, lurking in the refrigerator — wishing you a wonderful Thanksgiving! I think we all need a Kyra in our family. Gorgeous! And what a coincidence, I use the exact same turkey with my students! Kyra did a fantastic job.